Maintaining a cool, clean, and well-ventilated home is essential to improving air quality. Use indoor air purifiers throughout the house, and keep the ducts, vents, and filters of your air systems clean to prevent dust and mold from circulating. Dust mites are tiny insects that live in dark, humid areas, feeding on dead skin and hair. They often burrow deep into carpets, soft furnishings, mattresses, and pillows. Keep them at bay by dehumidifying your home and thoroughly dusting and vacuuming on a regular basis. Wash fabric items and upholstery well, and use hypoallergenic linens and mattress covers on your bed. Pet dander can spark allergic reactions and also feed other allergens like dust mites. When choosing a dog or cat, look for short-haired, low-shedding breeds. Keep them off furniture and out of bedrooms. Wash their bedding regularly and wipe down surfaces around their bed to remove sticky dander. Bathe and brush them outdoors and vacuum and sweep floors regularly. 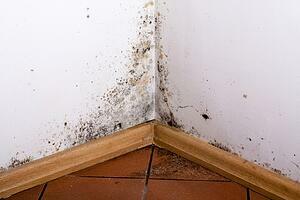 Mold and mildew are fungi that thrive in damp, dark areas. Control them by clearing visible growth, ventilating rooms well, using a dehumidifier in high-moisture areas, and wiping down condensation. Dry out damp or flooded areas thoroughly and either air, clean, or throw out wet items. Pollen is one of the most potent allergy and asthma triggers, especially in the Ohio Valley region. You can prevent pollen from getting into your home by ventilating via your air system instead of opening windows. Be sure that your filters are clear and in good repair to prevent pollen being brought in via your air system. Chemicals, especially those found in cleaning products and synthetic fragrances, often trigger allergic reactions and asthma attacks. Limit your use of chemical products indoors, choosing organic or low-toxicity alternatives wherever possible. Cockroaches are known allergy triggers. It can be difficult to keep them out completely, but you can control them by clearing away food and dirty dishes, and emptying the trash frequently. In the case of an infestation, contact a pest control specialist. Cigarette smoke contains over 3000 chemicals, most of which are known allergy and asthma triggers. You can dramatically improve your indoor air quality by smoking outside, as smoke can seep into walls, floors, and furniture over time. Deep-clean furniture, remove old carpets, strip old wallpaper and paint, and treat the walls with a special sealant before re-covering. If you suffer from allergies or asthma, improving your indoor air quality is essential. A cool, clean, well-ventilated home is a good place to start. However, dirty or inefficient air systems can circulate allergens like dust and mold throughout your home, which is especially hazardous for asthma sufferers. At Geiler, we’ve been helping homeowners to improve their air quality for 130 years. If you need help protecting your home and your family from allergens, visit our Indoor Air Quality Page.